Motor vehicle accidents involving tractor-trailer trucks and other large trucks are extremely deadly and dangerous to the occupants of other vehicles. Between 2015 and 2016, the number of fatalities in crashes involving large trucks increased by 5.4 percent. In 2016, the fatalities caused by accidents involving large trucks took the lives of 4,317 individuals. Sadly, 83 percent of the fatalities involving large trucks were occupants of other vehicles or non-occupants such as pedestrians or bicyclists. Because accidents involving tractor trailers and other large trucks cause traumatic and life-threatening injuries, tractor trailer accident claims can be complicated. Insurance companies and trucking companies aggressively fight accident claims to avoid paying large settlement amounts or jury verdicts. The legal team of Pinder Plotkin has extensive experience investigating and handling tractor trailer accident claims. Before you talk to an insurance adjuster for the truck driver, trucking company, or another third party, contact our office for a free consultation. Our Maryland tractor trailer accident attorney can help you file a claim to seek fair and just compensation for your damages, injuries, and losses. Commercial trucks provide an efficient and cost-effective means of transportation for goods throughout the country. However, sharing the road with these extremely large vehicles can be dangerous. When an accident occurs, it is important to determine how the crash occurred and identify the party or parties responsible for causing the collision. You cannot recover compensation for your injuries and damages unless you can prove the party caused the crash. In most cases, the cause of the crash leads to the identity of the responsible party. It takes a lot of experience to operate a tractor-trailer safely. Unfortunately, inexperience is one of the common factors in a large truck accident. Truck drivers do not have sufficient training or experience to handle the challenges associated with operating a tractor-trailer. Another common type of driver error relates to the number of hours a truck driver operates a tractor trailer. Many truck companies push their drivers to exceed the number of legal driving hours between breaks and rest periods to shorten the time between loads. The companies do this to increase profits. Truck drivers also drive long hours to make more money. Unfortunately, truck driver fatigue and drowsy driving are common causes of tractor trailer accidents. 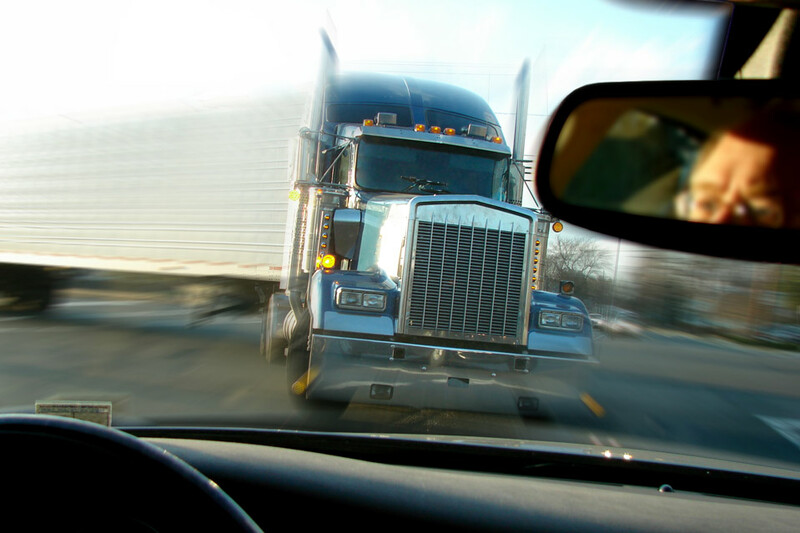 Other forms of truck driver error that can lead to a truck accident include distracted driving, speeding, impaired driving, reckless driving, and aggressive driving. Defective truck parts or improper maintenance can be factors in a tractor-trailer crash. Defective brakes, steering systems, and tires are all common factors in truck accidents. In addition, when trucks are not properly maintained, important systems can fail, leading to a truck crash. An out of control truck is almost impossible to stop before it collides with other vehicles. The cargo must be carefully loaded and secured in a commercial vehicle. Load limits exist for a reason. If a truck’s cargo exceeds the weight limits, is loaded improperly, or is improperly secured, the cargo can shift causing the truck driver to lose control of the vehicle. In addition, overloaded cargo can put excessive pressure on the braking system, which could result in brake failure. Tractor trailers and large trucks cannot avoid road debris and road hazards as quickly as a commercial vehicle. Poor design and improper maintenance of roads can be a factor in a truck crash. Also, weather conditions can lead to a truck accident. Rain, snow, and fog can increase the risk of a truck accident. In many cases, the truck driver played a role in causing the tractor-trailer accident. However, additional parties may share in the liability for the crash. For example, if lack of truck maintenance, improper training, or violations of trucking industry regulations are a factor, the trucking company may also be liable for damages. If defective brakes or tires played a role in causing the crash, the manufacturer might be named as a party in an accident claim. On the other hand, if poor road design led to a truck crash, a government agency could be a party to the action. If road debris or road construction was a factor in causing the crash, a contractor or other party might also be liable. It is crucial that a Maryland tractor trailer accident attorney conducts a comprehensive truck accident investigation as soon as possible to identify all potential parties to a claim. By identifying all parties to the claim, we increase your chance of receiving maximum compensation for all damages. Contact a Maryland Tractor Trailer Accident Attorney Now! The attorneys of the Pinder Plotkin Legal Team understand the complexities of investigating and handling a truck accident claim. In addition to the typical steps in investigating an accident claim, we must also act quickly to protect the information on the truck’s black box and electronic recording systems. We must also notify the truck company to maintain all records and evidence so that nothing is lost that may be required to prove fault and liability. Do not take a chance that a trucking company or other party may destroy evidence or get out of paying you a just and fair amount for your claim. Call our office now to speak with an attorney. Contact Pinder Plotkin LLC by calling 410-661-9440 to schedule your free consultation with a Parkville tractor trailer accident attorney.